The glass screen of iPhone is easy to break and not cheap to get fixed, so the iPhone users may want to update to a new iPhone when the iPhone screen is broken. Before switching to new iPhone, people will want to export the important files from iPhone, such as photos, contacts, messages, etc. 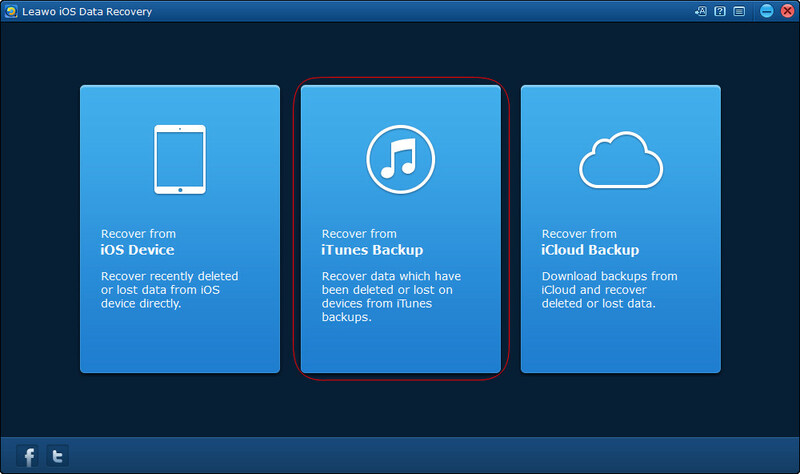 If your iPhone can be recognized by iTunes, the recovery will be much easier for you. Besides iTunes, if you only want to recover photos from broken iPhone only and save them on computer, there are also several methods available for you. iTunes will back up your iPhone files, including Camera Roll, contacts and so on to your computer. 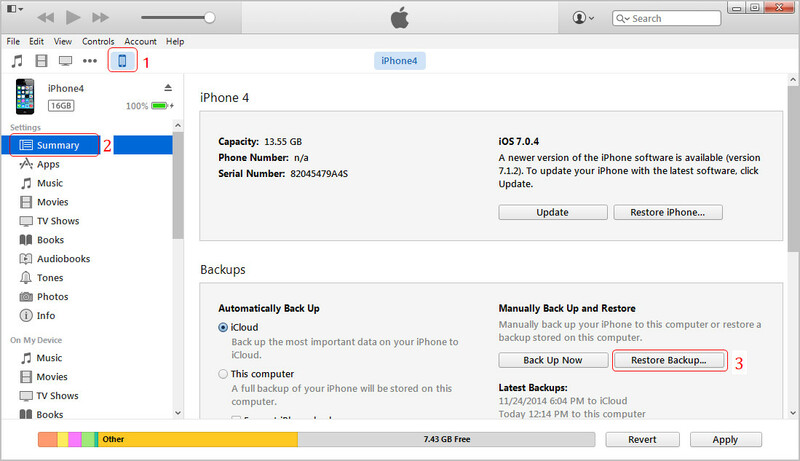 Check out if iTunes has recognized your iPhone, if yes, you can update your iPhone backup with iTunes. 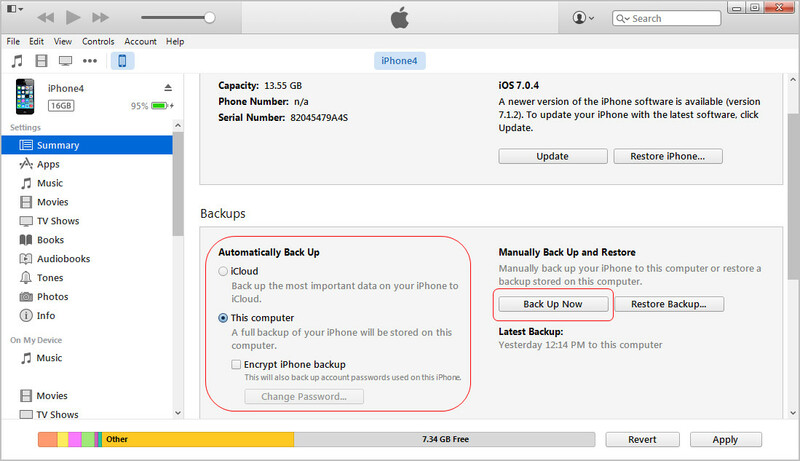 After updating your iPhone backup, most of the data in your old iPhone will be saved in iTunes, and you are able to restore your new iPhone with this backup to move all the data to your new iPhone, including the photos. If you don’t want to restore your new iPhone with the backup, you are able to recover photos from broken iPhone only and save them on computer. 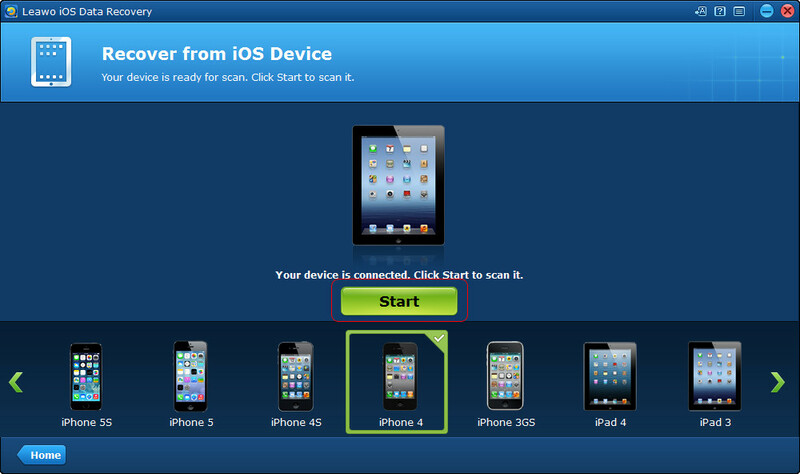 At this moment, you will need help of the iPhone data recovery program. Leawo iOS Data Recovery is a multifunctional iPhone data recovery program, and it enables users to recover data from iPhone. The following guidance will show you how to do it, and you are able to free download the software to have a try. 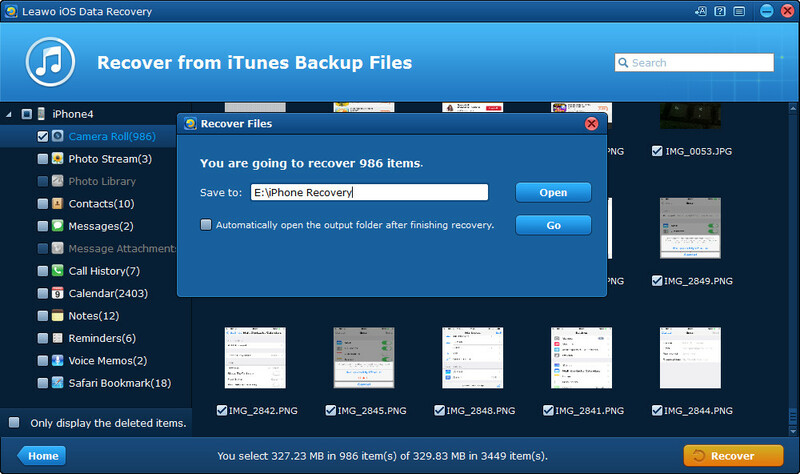 This iPhone data recovery program also enables you to recover photos from iPhone backup if you want. The following guidance will introduce how to do that. 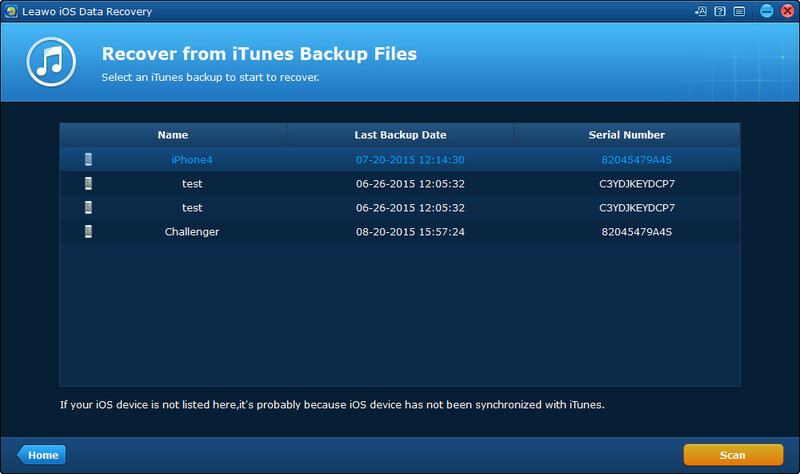 The programs scans your iPhone backup, and you should check Camera Roll when the scan finishes. Select the photos you need and click Recover. Click Open in the pop-up dialog to choose target folder. 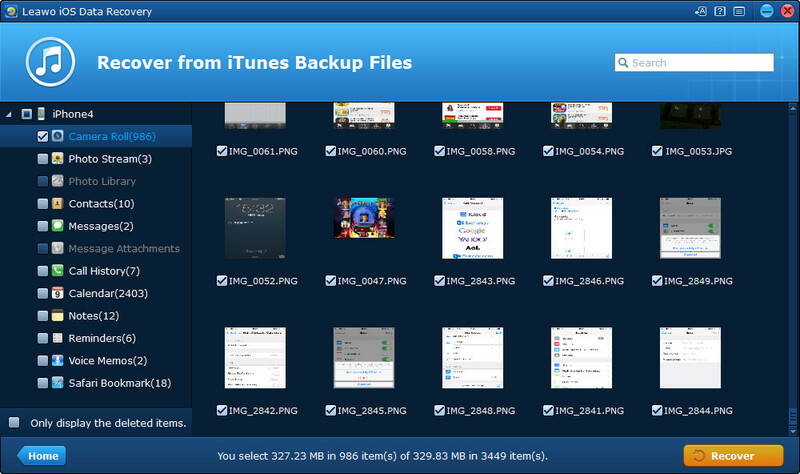 Then click Go to extract photos from iPhone backup. When the recovery is done, you will get the photos in the target folder. 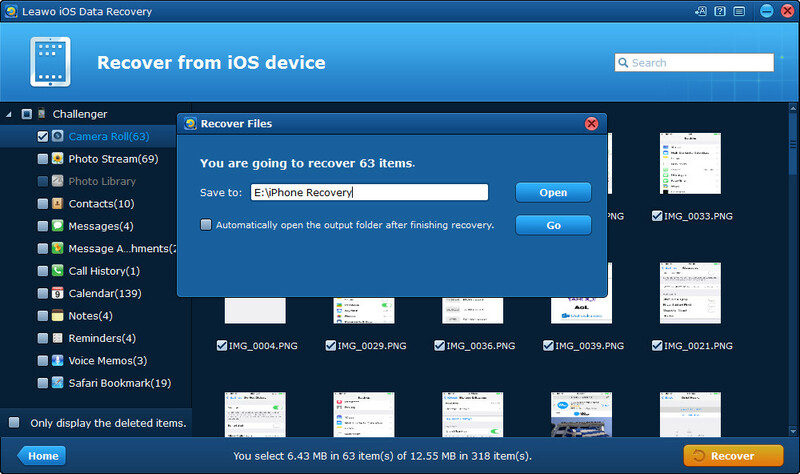 Leawo iOS Data Recovery only does the recovery job, therefore, it will keep the original qualities of the exported files. If you also want to get the photos in the photo library back, you will need the help from Leawo iTransfer. 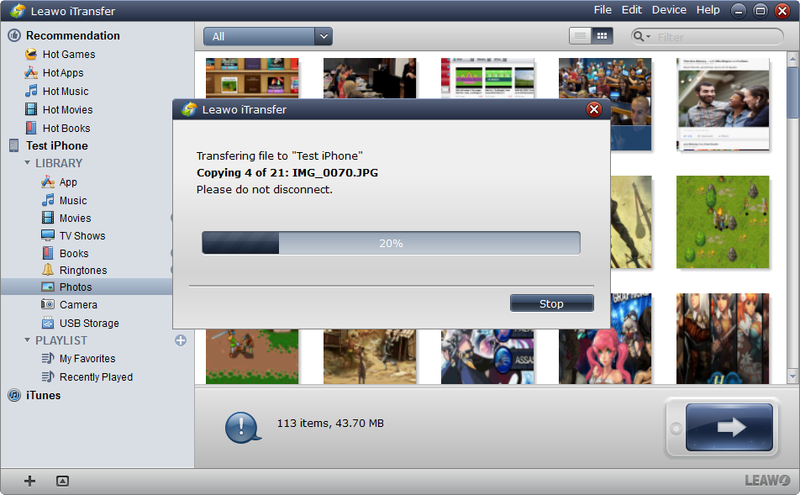 This iPhone transfer software will help you to import photos to iPhone without the sync of iTunes. 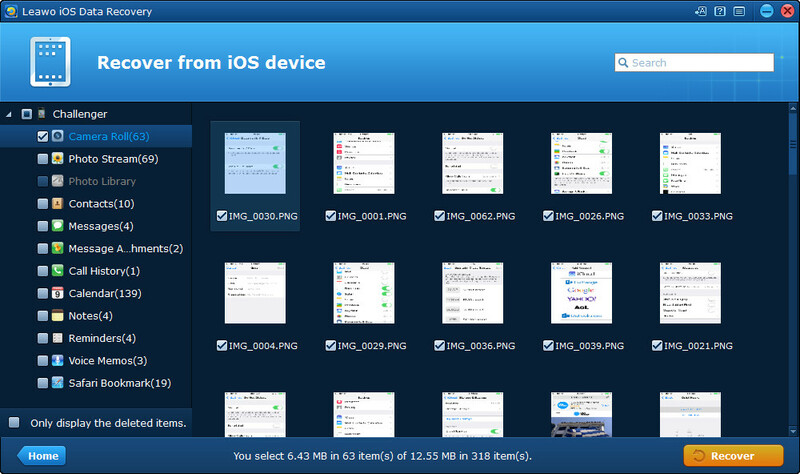 The following guidance will introduce how to use Leawo iTransfer to transfer photos to iPhone, and you can free download the program to have a try. Run Leawo iTransfer on your computer and connect iPhone to computer with the USB cable. 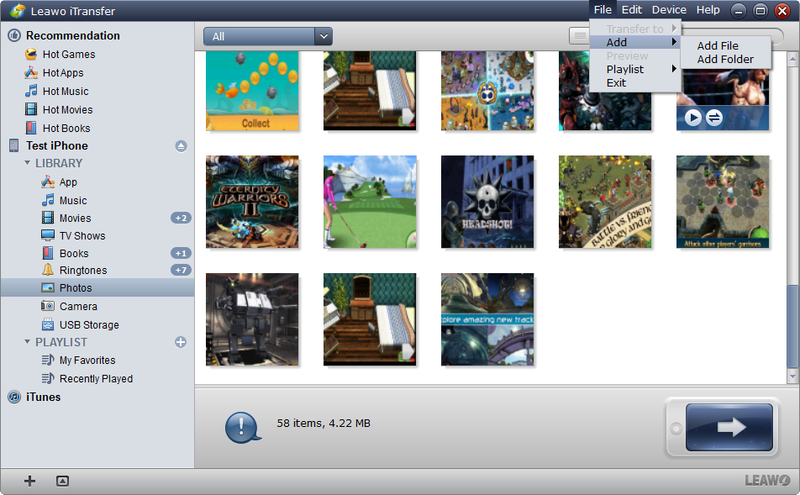 Click Add > Add File/Folder at the upper right corner of Leawo iTransfer. 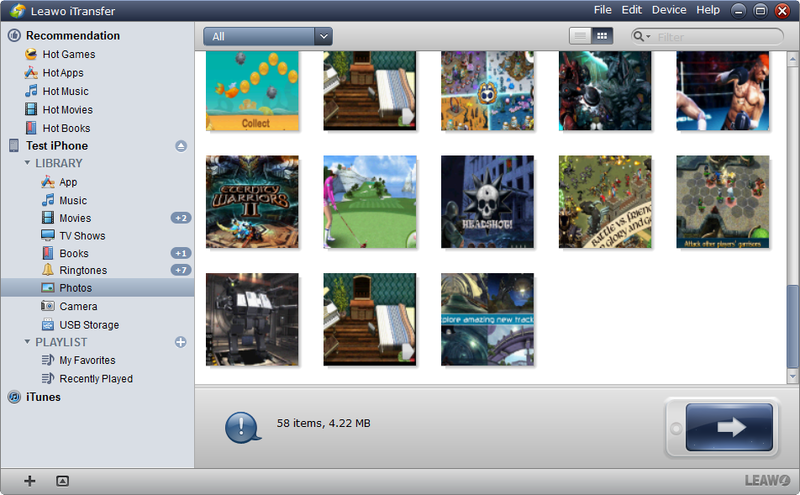 Select the photos and click OK. Then the program will start importing photos to iPhone. With Leawo iOS Data Recovery and Leawo iTransfer, you are able to recover photos from broken iPhone with ease. Leawo iOS Data Recovery is also helpful for other issues, for example, when you want to recover deleted contacts from iPhone, you can rely on this program.